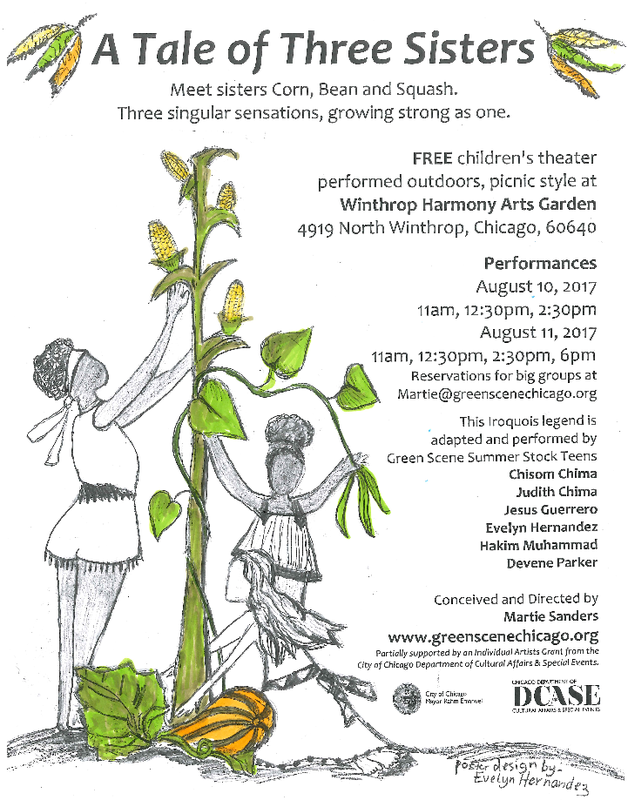 Aug 10th and 11th in the Winthrop Harmony Arts Garden. “Chicago teenagers adapted an Iroquois legend, grew their stage set from seeds, and perform their play with music, puppetry, audience participation, and Native American sign language. Imparting the Haudenoshaunee wisdom of planting corn, beans, and squash (the three sisters) together, their play joyfully expresses how supporting one another and communication are key to growing strong. Audiences will see this planting in the garden, have a tasting of the three, and take home free corn.